MTV Roadies is come back with another new season titled as "Roadies Rising". This season is different than previous season. In this season, we'll see more energetic roadies contestants. Indian Cricketer Harbhajan is all set to judge Roadies brand new season "Roadies Rising" along with another judge pannel 'Neha Dhupia', 'Ranvijay Singha', ' Prince Narula', and 'Karan Kundra. MTV Roadies is coming back with new another season titled as "Roadies Rising". In first episode of Roadies Rising we saw auditions of Pune city where three contestants are selected during audition. 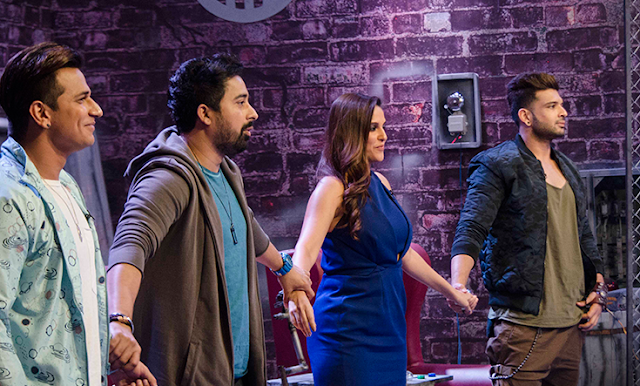 Samar and Samyuktha got entry in Rannvijay Singha gang and Mandeep singh got entry in Neha Dhupia gang. We'll update more details about 26 February 2017 Full episode 2 very soon. Stay Tune.